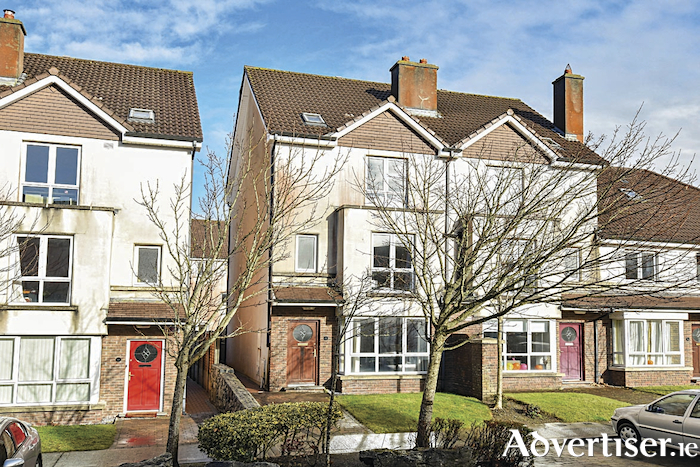 O'Donnellan & Joyce is offering for sale a wonderful four bedroom end-of-terrace private residence located at Rosan Glas, Rahoon Road, on the west side of the city. Rosan Glas is a beautiful development of residential homes which overlook manicured green areas and stunning landscaping. Constructed by premier builder O'Malley Construction in the early 2000s, the estate comprises a mixture of houses and apartments finished to the highest standards and overlooking large green areas with mature trees and lawns throughout. This property is ideally located within a three minute walk of the new state of the art Gaelscoil Mhic Ahmlaigh, and the Gateway Retail Park which contains Dunnes Stores, B&Q, Next, and New Look. The property is also within walking distance of the Knocknacarra national school and Colaiste na Coiribe secondary school. It is also conveniently close to the Clybaun Hotel and just moments from Sheridans Bar & Restaurant, and Joyce’s supermarket. Salthill Promenade, Silverstrand beach, Barna village, and Galway city centre are within easy reach, with NUIG and UHG just a 10 minute drive away. No 182 Rosan Glas is presented and maintained in excellent condition with careful attention to details and decor throughout. The accommodation is both bright and spacious and is spread over three storeys. The ground floor accommodation comprises an entrance hall, a downstairs toilet, a lounge with open fire, and an open plan kitchen/dining room. The first floor has a large utility press with washer/dryer, two double bedrooms, one of which is en suite, and the main family bathroom. The second floor accommodation offers a further two double bedrooms, both of which are en suite, a hot press/storage press on the landing, and access to the attic space through the attic hatch. Outside the property offers adequate parking to the front, side entrance, and a low maintenance gravel rear garden with pedestrian access. This property is an ideal owner occupier residence or gilt edged investment property with guaranteed return on investment. There is an excellent bus route to the city centre with the bus stop located at the main entrance of the development. The BER is D1. Asking price is €300,000.